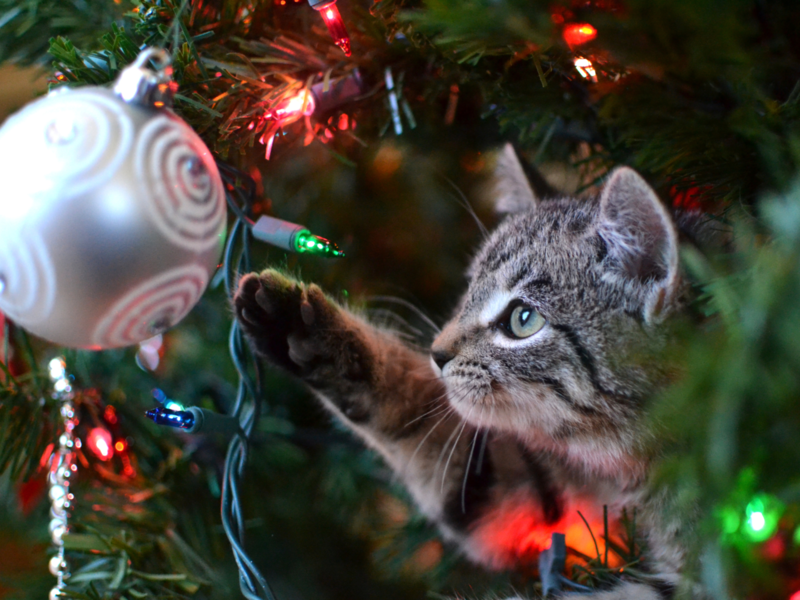 One of the joys of the holidays is having a nicely decorated house, but those decorations could be hazardous for a pet curious in a new home. Holiday plants can be quite dangerous, according to American Humane: lilies can be deadly to cats, poinsettias can upset animals’ digestive systems, mistletoe is toxic, and holly can cause vomiting and diarrhea. Even pine needles can be toxic if your pet eats them.